You have found your way to our About page so I am assuming you want to know a little more about me and/or the company. First of all, thanks for being here and taking the time to browse the site. Whether you are here for education, music, photography, video service, or just browsing the web, I am happy that you found us. Hello there, I am Mike Bennett and I am the Owner and Operator of Professor B Studios which is a registered LLC providing education, production, and live streaming services located in downtown Winston-Salem, NC, but more on that later. I am happily married, a proud dad, and a local business owner. I have a Bachelors of Science in Music Education and a Minor in performance from East Carolina University. When I first graduated I immediately moved into the public school system where I was a general music teacher and a marching band tech. When we moved to Winston-Salem I started a band program at a local private school where I was also a choir director and launched a audio-video mechanics class. My love for technology in music and photography grew and eventually expanded into the video realm ultimately leading me to strike out on my own and launch this company where I can help people to learn, create, and capture. 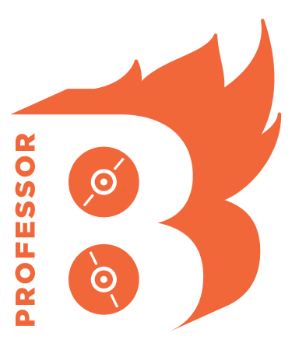 Professor B Studios is a registered LLC providing a number of education, production, and live streaming services located in downtown Winston-Salem, NC as stated before. While I am the owner and operator, I have the pleasure of contracting out with amazingly creative and talented people equipping us to handle larger jobs. One of the great things about the studio is the community that has grown around it of musicians, photographers, videographers, and other creative and technical friends. In regards to more specific service offerings, we offer teaching and training on software and equipment, we provide headshot and event photography, and can create videos for everything from a music video to a corporate promotional video. We also offer live steaming solutions for any size event whether big or small but we love working with creatives, non-profits, and small businesses. Please visit our Education and Production pages for more specifics about our services. Again, thank you so much for visiting and taking the time to read a little about us. Please check out our portfolio and our services and lets start you on or help you along your path in learning, creating, and capturing.